Coffee 4 Kids is a story about one woman’s heart to change the lives of hundreds of sick children and families. During a particularly dark time in 2006, dietitian Shawn Plowman visited San Pedro Sula, Honduras, on a missions trip with her church. 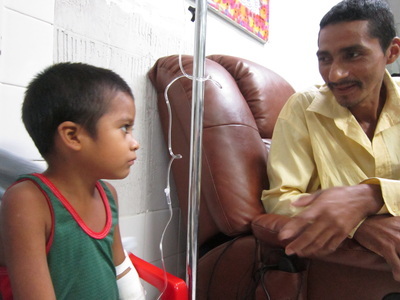 While volunteering in Mario Rivas Hospital, the second-largest public hospital in Honduras, a light switched on. 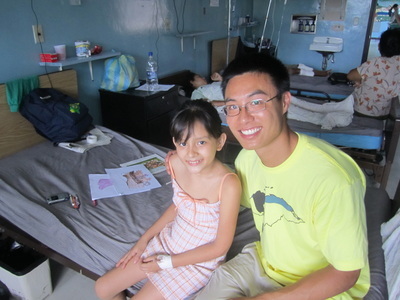 Amidst a crumbling pediatric ward, one filled with cockroaches and cries of hunger, Shawn saw an opportunity to change the course of the lives of hundreds of children and families suffering from malnutrition, disease, and poverty. At the time, the pediatric ward not only lacked basic medical supplies, such as bandages and syringes, but enough food to properly feed their young patients as well. 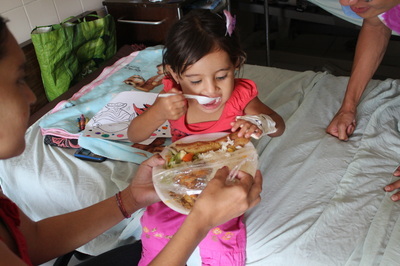 Children were dying not only from cancer and other illnesses, but also from a lack of nutrition. One afternoon, Shawn got one sentence into a presentation she had developed on treating malnutrition when a nurse stopped her. The hospital did not have any planned or special diets for their patients. When food was available, children were often fed a plate of 2 small corn tortillas, 1 slice of salty cheese, and one small spoonful of beans just once a day. This diet, which would scarcely provide a healthy child with enough nutrients to live, was simply not enough for a sick child to survive. 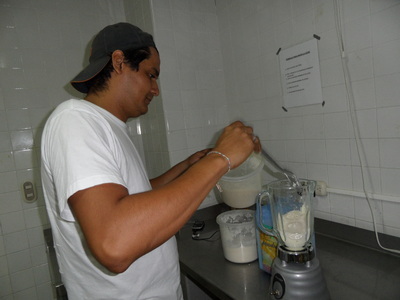 Exactly 24 hours later, Shawn received approval from the hospital director, head pediatric nurse, and head of the kitchen to start a feeding program for the kids. And thus, Coffee 4 Kids was born. 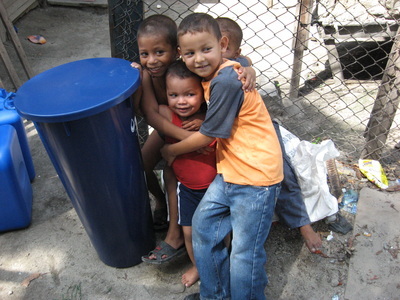 Since then, Coffee 4 Kids has expanded beyond just a feeding program. Aside from over 120 tons of food served, Coffee 4 Kids has also provided over 30 tons of medical supplies and medicine, created access to clean drinking water by 500 installing water filters in cardboard village homes, partnered with a Honduran coffee farm to benefit the local economy and fund food and medical purchases through coffee sales, collected and donated 4,000 handmade beanies and blankets, and dispatched 120 volunteers from across the United States to serve in San Pedro Sula. 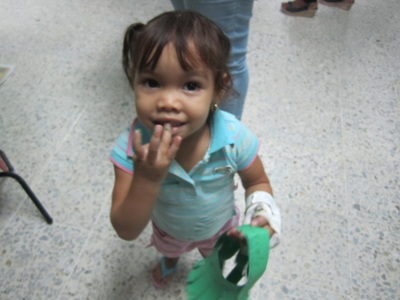 Our mission is to provide children and families in San Pedro Sula, Honduras, with the basic necessities needed for survival: God’s love in the form of food, medicine, medical supplies, and other urgently needed items. We aim to treat children living in cardboard homes with needed medicines, in hopes of preventing the need to go to the hospital. 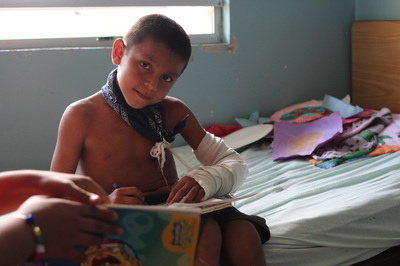 For the children in hospital, we try to save as many lives as possible. For the children we cannot save, we try to make sure they die with dignity. That they are not cold, hungry, or in pain. And that they are covered in love and prayer. Serve over 120 tons of food. 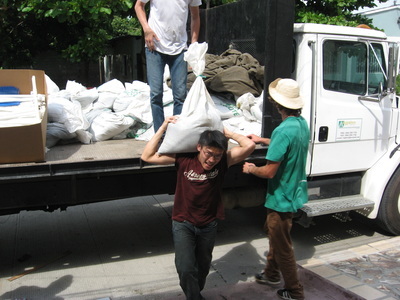 Ship two containers and over 30 tons of medicine and medical supplies. Distribute 4,000 handmade blankets and beanies. Build a church with a current attendance of 300 people. Expanded our support base beyond San Diego, CA, to Los Angeles, Oregon, and Alaska. Raise funds through the sale of 5,000 one-pound bags of Honduran coffee a year. Develop four other ministries and services: a foot care ministry, an addiction treatment and recovery center, a sponsorship program for children in the Rio Blanco slum, and a feeding program for a local village. Maintain close relationships with hospital staff and administration. Serve continually and consistently for 8 and ½ years. Coffee 4 Kids provides nourishment and medical treatment for children and families in San Pedro Sula through donations and fundraising. A bulk of the work we do is behind-the-scenes and around the clock, raising needed funds so that when we send our quarterly teams to Honduras, they can distribute medicine and medical supplies to San Pedro Sula’s largest public hospital, Mario Rivas, and work with local churches, rotary clubs, and nonprofit organizations on various projects that will improve the health and quality of life for the city’s poorest of the poor. In trying to find ways to fundraise, Coffee 4 Kids Founder Shawn Plowman stumbled upon the Honduran coffee farms of El Dorao Coffee. After sharing about Coffee 4 Kids’ mission with El Dorao Coffee owner Fidel Paz, a partnership and organization name was born. High quality El Dorao coffee, the same used by Stumptown and Verve Coffee Roasters, would be sold to raise funds for Coffee 4 Kids. This simple collaboration has provided an amazing cycle of support that sustains local Honduran coffee farmers, funds medical supplies for those in need in Honduras, and blesses donors worldwide with great coffee and an opportunity to help the poor.